sunday scribble: the news … | i made it so. 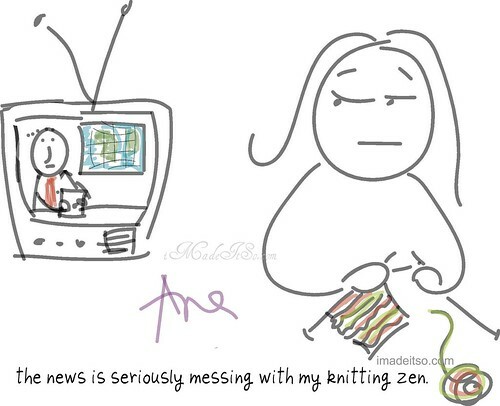 This entry was posted in my doodles & drawings, yarn and tagged cartoon, knitting, news, zen. Bookmark the permalink. So true – sometimes the news is very disheartening. I find news vacations a great idea more and more often these days! Pingback: stitch markers for knitting | i made it so.